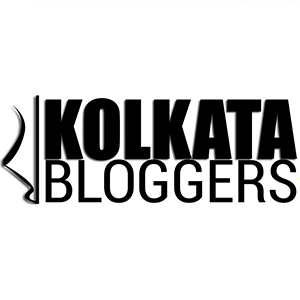 August 19, 2018 August 19, 2018 Categories Festival, Recipeblogger, maggi, maggi dimsum, maggi festival, maggi menu, maggi momo, maggi recipe, maggi recipe momo, nestle, nestle maggi recipe, recipe blog, recipe maggi, recipeblogger kolkata4 Comments on My recipe for ‘Maggi Momo’ and the special Maggi menu at Bon Appetit cafe! Maggi has somehow always created memories when I am with my friends and loved ones!! Warm sweet memories that never leave you! These memories are most cherished, especially for people like me who are still searching (for past 30 years) what’s that magic which takes us back to Maggi every now and then, and still, we never get enough of it! Anyway, so a few days ago, my love for Maggi took me to a wonderful place that’s very close to my heart – ‘Bon Appetit Cafe’, and they are running a month-long Special Maggi Menu! So guys, it’s time to make more Maggi memories, this menu is available only till the end of August (2018) at Bon Appetit, Hazra, and Saltlake. This special menu was launched on Friendship Day, and includes some amazing Maggi dishes like: Maggi Au Gratin, Veg Maggi Sandwich, Chicken Maggi Sandwich, Maggi Paratha, Maggi with Meatballs, Maggi Omelette, Maggi on Toast, Maggi Pancakes, Maggi Pizza, Maggi Bell pepper salad, etc. Frankly speaking, they were all pretty nice and pocket-friendly. I have been a fan of Spaghetti with Meatballs at Bon Appetit, so I had to anyway like the Maggi with Meatballs which follows the same recipe and it’s just stunning, to be honest! The Maggi Au Gratin is a must-try and it didn’t look that great but tasted simply amazing, maybe the best dish from this Maggi Menu. Also the Maggi stuffed omelette was filling and comforting. It had a warm homely touch to it, you get some breads along with that as well, so yeah, it’s a perfect dish to order if you are in for breakfast or evening snacks. At Bon Appetit café, this special menu helped me create more Maggi memories!! And that it inspired and encouraged me to go ahead and try something new with Maggi myself. Though it’s a matter of fact that I have Maggi every now and then with something new going into it every single time. Like some veggies, or garlic butter, or lemon zest, or basil leaves, chili flakes, and the list goes on! And yes, it has to be topped with a sunny side up! But this time I was determined to do something very different, but it has to be yummy, filling and delicious! So, one day while I was having steamed momos at my office canteen, this idea struck me! Why not make Maggi Momos? Also, you can add finely chopped cabbage leaves and spring onions if you wanna add more veggies in the Momo filling. To start with, take the flour, salt, oil in a bowl and add water to it as required. Knead the flour well to form a dough and set it aside for an hour before you start preparing momos. In the meanwhile, chop the veggies and start making the momo filling. Finely chop (or rather mince) the onion, garlic, ginger (very small amount), green chilies, carrots. Boil the Maggi noodles and set it aside, don’t add the Tatsemaker masala to it, we will add that later. For 6 momos, you will need half packet of Maggi noodles. Add the finely chopped shrimps (optional) and finely shredded boiled chicken and cook for a couple of minutes. Now take the dough and divide it into small pieces, make balls of each piece and put them on flour dusted board and roll them into very thin round flat circles. And yes, make the edges thinner. If you find it hard to make them perfect circles, you can use a sharp edged blow to cut into perfect circles. Take each of these and put the cooked stuffing inside them, at the centre. Keep making such momos and keep them covered under a moist neat cloth on a well-oiled plate, so that they don’t stick to the plate. Now, take the steamer and bring the water to a boil. I use a simple Rice cooker. Put the momos on the steamer pan (well oiled) and put the pan on the steamer where water is boiling. Cover the pan and let it cook on high flame for 10 minutes. Once done, take it off, and serve it with some momo sauce. For momo chutney, you can just crush some boiled tomatoes, garlic, green chilies, coriander leaves, and salt and make a smooth paste out of it. The Maggi Momo is ready! Also, you can make some momo soup with your boiled chicken broth, just add a pinch of salt, drop of soya sauce and chopped spring onions to it. Hope you make these steamed Maggi Momos at home and enjoy them with some fiery hot Momo chutney! Perfect evening snacks for me! 🙂 Let me know how you liked it in the comments section below! I will try to make more such dishes in the near future. Disclaimer: This article was done in association with Bon Appetit Café (Kolkata) and Nestle Maggi India. Previous Post ‘Oh! Calcutta’ brings in the super-exciting weekday Lunch Buffet! Next Post Spicery – the den of modern Indian soul food is here! Finally, I found a person who loves momo and maggi together. I must say that this is an mouth-watering recipe and I will definitely try it and I will share feedback with you. The blog pages are very interesting. I am a new reader of your blog and I love your writing.All the very best.